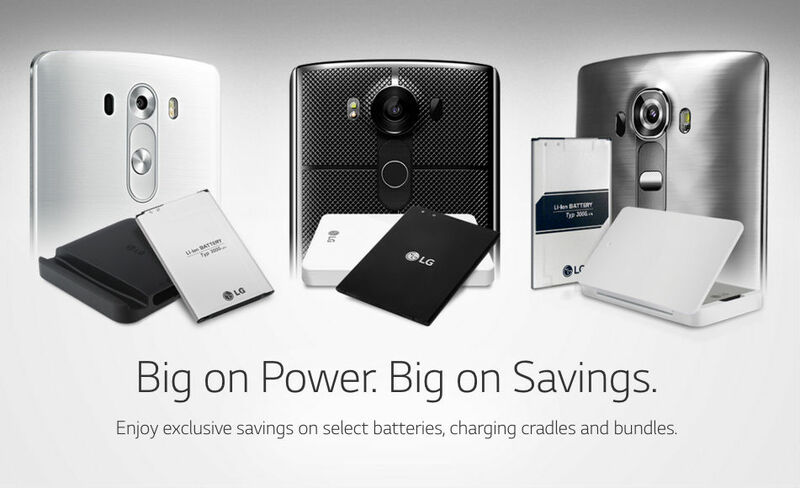 For a limited time on LG’s website, the company is hosting a promotion on replacement batteries and charging cradles for the LG G3, G4, and V10. With the promo, owners of these devices can pick up replacement batteries for $15, as well as charging cradles for said batteries at the same $15 price. If you bundle a charging cradle and replacement battery for the V10 or G4, LG is only charging $20 for the couple, which isn’t bad at all. Whether you only need a replacement battery or a charging cradle, simply add the item to your cart for the promo price to kick in. 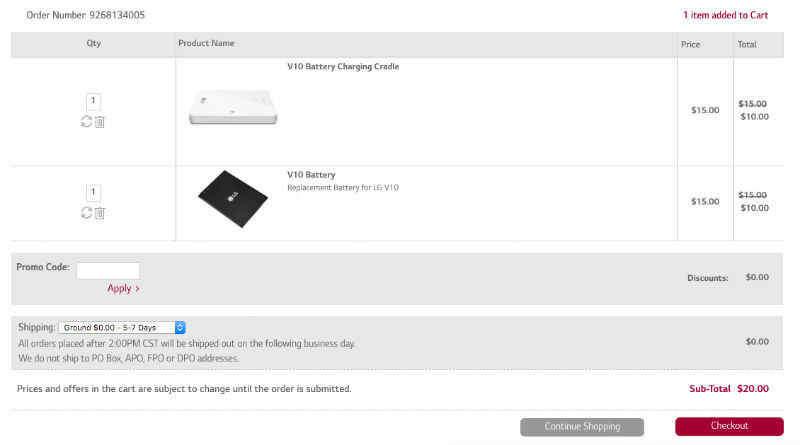 If you want to bundle a charging cradle and replacement battery, make sure both are added to your cart, at which point the discount will be automatically applied. From what we can see, domestic shipping is completely free, with delivery times placed between 5-7 days. If you need your batteries quicker, there is an expensive overnight option. Any G3, G4, or V10 owners in need?